Sleep & Other Prevention Techniques: Managing your mood before you are presented with a situation that may provoke you will save you plenty of time and stress. It is crucial to get a healthy amount of sleep every night. Negative experiences, no matter how trivial, will seem much worse when you are tired. Lack of sleep also reduces the activity of the frontal lobe, the area in charge of impulse control, making it harder for you to control your angry impulses. It’s also important to be aware of your personal triggers and anything that could cause you to feel uncontrollable anger. This allows you to avoid them or remove yourself from a situation once you encounter them. Take Deep Breaths: The Harvard Medical School states that shallow breathing, like often experienced during bouts of anger, come from the chest, leaving you feeling short of breath. This makes it much harder for you to control your anger by increasing your anxiety. If you breathe slowly and deeply starting from your diaphragm, your body has time to relax. These slow, deep breaths will slow your body down, easing the tension felt in your body and mind. Your mind will be able to slow down and clearly think through better responses to your anger. Exercise: Some individuals believe that reacting with catharsis, including venting anger, acting with aggression, consuming aggressive content, can somehow release our anger in a healthy and safe way. This, however, is far from the truth. It has been shown to actually increase your anger and even leads to increased risk of cardiovascular disease. However, if you were to take a step back and engage in a workout or some other form of exercise, you can easily reduce stress in tension caused by your anger. Exercise releases pent-up energy. The exercise can be a full-blown workout or just something as simple as a brisk walk or run. Exercising is a safe and healthy way to deal with your anger. Regain your Composure & Talk it Out: It is more than okay to feel angry. We all feel this way on occasion. However, it is important to not let your anger get in the way of your critical thinking and affect the way you react to a situation. If you do, you may say something that you will regret or cause physical harm to another person near you. In both scenarios, you can cause irreparable damage to a close relationship. You shouldn’t let your emotions control you. You should work out why you are angry and what the cause was. This will allow you to reasonably understand how it made you angry. Once you have pinpointed what has caused you to feel this way, address the situation in a nonconfrontational way, allowing you to calmly express your feelings. Avoid pointing blame and use “I” statements, so you don’t play the blame game. It is important to peacefully talk through your emotions instead of venting your anger. 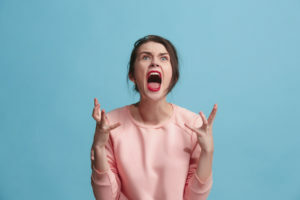 Know When to Seek Help: Yes, anger is a completely normal and healthy emotion, but constantly getting angry and having no control over your emotions may indicate that you have anger management issues. If you have implemented these anger management techniques and still find yourself struggling to control your emotions, then seeking professional help may be the best course of action for you. If you wait too long to seek professional help for your anger, you could potentially be putting yourself at risk or even your loved ones. Asking for help is not a sign of weakness. There are numerous forms of professional help such as utilizing a therapist, joining group anger management classes, or joining a program. You will find that you are not alone in your struggle to control your emotions and that you can learn control in due time. Feeling anger is a natural emotion that we’ll all feel. You should not feel ashamed to experience these emotions. Sometimes you can’t change the situation that has made you angry, but you can change how you react to a situation. Practicing these anger management techniques are simple ways that allow you to take back control of your emotions. However, if these are not effective for you, then seeking medical help should be the next step. Reach out to LifeWorks Counseling Center to learn more about how to deal with your anger and to learn more about our anger management services.